Meeting with Trans-Baikal Territory Governor Natalya Zhdanova. Putin.BLOG Regions Meeting with Trans-Baikal Territory Governor Natalya Zhdanova. 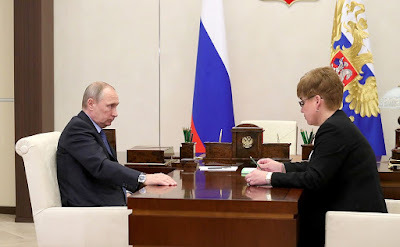 Vladimir Putin met with Trans-Baikal Territory Governor Natalya Zhdanova to discuss requests from Trans-Baikal Territory citizens received during the Direct Line with Vladimir Putin. Natalya Zhdanova also briefed Russian President on the current socioeconomic situation in the region. 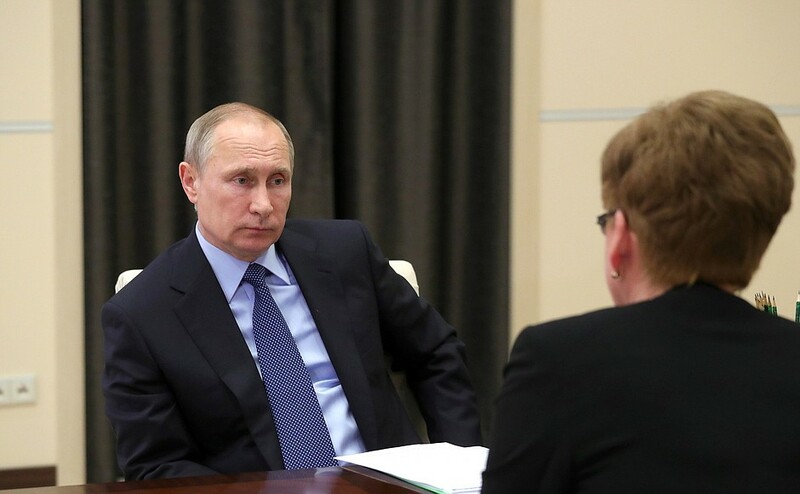 Vladimir Putin at a meeting with Trans-Baikal Territory Governor Natalya Zhdanova. Ms. Zhdanova, we will of course review all matters related to the socioeconomic situation. However, I would like to start by forwarding to you a list of issues that were pointed out by people during the Direct Line. We will discuss this in more detail, since I would like to highlight some of the issues that cannot be left unnoticed. We have done a great deal to ensure adequate capacity of kindergartens. In our public statements, we say that this issue has been resolved 90 percent, almost 100 percent. However, people complain that no new kindergartens are being built in Chita, and it is very hard to get a child admitted into a kindergarten. Does this issue still exist? 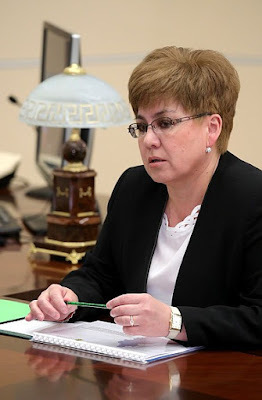 Governor of Trans-Baikal Territory Natalya Zhdanova. Mr. President, unfortunately this problem does exist. Unfortunately, the region failed to fulfil the Presidential Executive Order within the designated period, and was unable to resolve the issue with waiting lists for children between three and seven years old, even though 2.5 billion rubles were allocated to this effect, which is a substantial amount. That said, it has to be mentioned that admissions were increased by almost 8,000 as part of this program. However, this turned out to be insufficient. Some 1,700 people are still on the waiting lists. Mr. President, I would like to report that during this period of eighteen months, we were able to increase kindergarten admissions by 1,500, including in Chita and other areas. About a dozen or even more areas within Trans-Baikal Territory still lack the needed kindergarten capacity. We intend to continue working on this issue in 2017–2018 and further increase the kindergartens capacity by 1,200, which will resolve the issue of waiting lists for children from three to seven years old. Do you have any agreements with the Government on this? We have many kindergartens where construction is unfinished, but they are about to be completed. This problem is linked with loans among other things. Therefore, in this case we are building or completing the projects that we already have, and are launching new ones. We are taking some buildings back, converting them back to kindergartens. Vladimir Putin held a meeting with Governor of Trans-Baikal Territory Natalya Zhdanova. Have you received the funds that were due to you from the Federation? Yes, we have received the funds allocated to Trans-Baikal Territory under the federal program. Does this mean that you have simply not fully paid your obligations, right? Indeed, we have not fully paid our part. Today the underfunded sum is about 200 million. Why not? Didn’t you make co-financing commitments? We have not fulfilled them, Mr. President. These commitments have not been met. Please write a separate letter to me on this, will you? Now I would like to talk about some issues related to jobs. There are several appeals from Krasnokamensk. Is there a threat that the plant will be shut down? The situation is as follows: there is indeed a need to open an additional, so-called sixth uranium mine because two new uranium deposits have been discovered. The plant is operating, but the uranium resources are being depleted and it is necessary to open a new mine to preserve the city of Krasnokamensk. This is the second largest city in Trans-Baikal Territory after Chita. I was going to talk about this in detail in my report. Now the mine has received investment project status, but it has not been funded for 2017. You should work closely with Rosatom. You can describe the issue in detail if necessary. Rosatom has already invested about one billion rubles in all kinds of survey work under this project. But now, Mr. President, we are working to have the Federal Government share of the co-financing confirmed as well. Please also write a letter about this. There are also other issues related to dilapidated housing and roads. This is a common set of problems. That said, it may be common statistically, but it is very important for the people. I am transferring all this to you. I will expect your report – information on what has been done. All right? Now please tell me about your issue. Mr. President, this is about an issue that was raised during the Direct Line. Your instructions have been fulfilled. At the end of August this woman will move to a flat. Mr. President, please allow me to report on the current situation. Although the current situation in our territory remains rather complicated, it is still fairly resistant to external challenges and has relatively stable major macroeconomic indicators. In industry, there has been small but real growth in the extraction of minerals. Today extraction is 2.4 percent higher than last year. This is due to an increase in the share of extraction of zinc concentrate and copper and the development of polymetallic deposits in the southeast of Trans-Baikal Territory. In addition, there is a number of other projects in the mining and other industries. These are core projects of the plan that we are compiling on your instructions. In all, we have 29 projects in the territory with a total investment of about 800 billion rubles. Some 200 billion have already been spent. Moreover, these are major economic and industrial projects with a very clear and direct social component. We have signed about 28 to 30 socioeconomic partnership agreements with directors of state corporations and other business representatives. Under these agreements, we are implementing various social measures that are vital for our people. For example, in cooperation with the railway we are planning to launch the construction of a kindergarten and a school for a hundred children. Along the railway. This is for the town of Mogocha and the village of Mozgon. We have many other projects, for instance, “Successful School” and “Sports for Everyone”, to name a few. 0 Comment to "Meeting with Trans-Baikal Territory Governor Natalya Zhdanova."